Our customers come first, so we pay close attention to your testimony to find ways in which we can better serve you and help you obtain your dream home. Read through some of our past customers' testimonials or send us recollections of your experiences with us here. We were very pleased with the outstanding quality of workmanship and professionalism by the American Dreamspace construction crew. Our beautiful dream sunroom is eye pleasing in every detail. Their Office Associate's drafting plan for the job turned out to be a fully functional and gorgeous sunroom. We also were impressed by her superior business acumen. The contractor offered professional advice for the project on several occasions and the entire team got the job done ahead of schedule. We highly RECOMMEND their skill sets to anyone considering having a sunroom added to their home. We were very pleased with our experience with American Dreamspace. We were updated daily on where we stood on the project, what was completed, what was still scheduled to be done. We never had to wait around for the workers to appear. They always came promptly, stayed all day and always left the worksite picked up and clean at the end of the day. The workmanship was exemplary and we couldn't be more pleased. Constructing our sunroom was a positive experience from start to finish. We would recommend this business highly to anyone considering constructing a sunroom. Brian and his team at American Dreamspace were fantastic. We love our new sunroom. We practically live in the new room! We hired American Dreamspace last year to build a four season sunroom addition to our house and couldn't be happier. Brian answered all of our questions (and we had a lot!) and didn't get fazed when we changed something. It was a pleasure to work with him and his crew. The sunroom is now our living room and we absolutely love it!!!! American Dreamspace converted an exterior deck on our house to a sunroom with a hot tub. American Dreamspace took full responsibility for engineering the structure and the design of the sunroom. The quality of the completed project is very high and we are so very pleased with our room. American Dreamspace went above and beyond in dealing with the very specific needs of our project. Also, this is one builder who does what he says he's going to do, when he says he's going to do it, for the price quoted. His ethics are unquestionable. I would definitely contract other work with American Dreamspace. Quality work and a Quality product. Brian Sullivan was very professional. He kept the project on track. He was always available. The crew was exceptional. Hard working men. Incredibly knowledgeable. Never wasted a minute. An asset to the company. 4 Stars. We decided to enclose our deck into a four season room. After reviewing what other similar companies had to offer, choosing American Dreamspace was easy. Our new room is absolutely beautiful, giving us year round pleasure for many years to come. From the first meeting with Brian Sullivan and his design staff, through the changes and adjustments made along the way and winter weather obstacles, the journey was well worth it. A+ all the way! The crew was very professional and friendly not to mention always being here on time and leaving the work area spotless at the end of each work day. We can't say enough wonderful things about American Dreamspace and highly recommend them. Our sincere thanks to Brian, Pearl, Shawn and Chris. "Very positive work and business thank you!" "Our sunroom is about 9 years old, purchased from American Dreamspace, Inc. Just the other day, 9 years later we had the crew here to add an internal ceiling for us. The original was from a vendor who is no longer in the business, and basically left us out to dry! However, American Dreamspace did not leave us in an awkward position as did the other sunroom company. 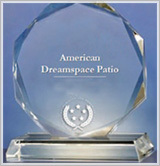 American Dreamspace has always been very customer focused. They took care of us to our satisfaction! Now this is customer focus and satisfaction! Thank You! " "The sun-room that American Dreamspace, Inc. built on our home was the most beautiful and comfortable room in our home. It allowed us to enjoy the beauty of our back woods by being able to sit in the room with glass all around us. " "I worked with the American Dreamspace team on a Sunroom/patio project in the 2012. The project went very well and the finished product is amazing - we are very happy. I found the team helpful and creative in meeting our goals for the room. Plus the team always makes themselves open to our family for additional questions. " 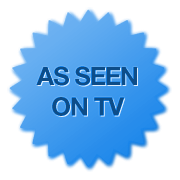 " Brian Sullivan from American Dreamspace is a pleasure to do business with. He is a professional in his field, always returns a phone call, very polite, knows the product inside and out and is eager to ensure that the work is completed in a timely fashion. His crew was very courteous and kept vigilant so that the quality of the build was continuously maintained. Folks should never hesitate to employ this firm to design and build their personal "Dreamspace". They will be completely satisfied and should always listen to Brian as he makes the correct recommendations for their new room as he did for us. " "Excellent customer care and the quality of my sunroom is beyond reproach. Brian was onsite constantly and building went smoothly and efficiently. I am extremely happy with my beautiful room. " "I would like to give a most positive review of a recent experience with American Dreamspace. About 6 years ago we had a sunroom assembled at our condo in Ogunquit, Maine. Everything was fine until a few months ago when we noticed some drops of water from the ceiling falling on a table. When I called Dreamspace about the situation, they immediately came out and examined the situation. Upon inspection they determined a rain spout during a heavy rain was gushing water that was backing up under loose shingles and running along a seam into the sunroom roof area..They put in some temporary caulking and recommended we reroute the gutter and have a section of shingles replaced. We have been exceptionally pleased with the courtesy and help we received from American Dreamspace even after many years had passed since the original installation. They have even called back to see if the problem was resolved satisfactorily. " "We are very satisfied with the quality, service and attention provided by Brian Sullivan and his team at American Dreamspace, Inc. We use and enjoy our sunroom year round. " "I had a four season sunroom installed about 7 years ago off of my bedroom. It is my favorite room in the house. This last winter was rough and I had lost some trim on the window screens. Brian at American Dreamspace asked me to take photos of the damage and the company replaced not just the trim, but both screen windows without charge. I frankly was amazed that they would do this when the problem was related to the winter and not an issue with workmanship. The service of American Dreamspace is excellent and very responsive. My sunroom is triple insulated glass with a skylight. There is no supplemental heat other than an electric fireplace - and no doors between it and my bedroom. Yet it remains comfortable even on very cold winter days. I would very much recommend both the product and the company. My experience with them is very positive. "